Let us help you grow your business through a partnership with VBSF.net. Virginia Beach Sport Fishing sponsorship’s are a great way to raise awareness while connecting your brand to us. With plans priced for businesses both large and small, sponsoring VBSF is an affordable and effective marketing option for any company. 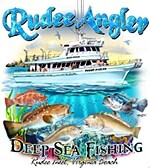 VBSF.net is dedicated to Chesapeake Bay (VA, MD) and Northeastern North Carolina saltwater fishing enthuses. They visit the site frequently to check fishing reports, the latest weather and use the interactive fishing forums. We focus strictly on this fishing region. So if you do business in the area this is the most effective site to advertise on. You can become an official sponsor! Email Us at webmaster@vbsf.net if you are interested, and we will contact you with information on advertising opportunities. VBSF.net IS BROUGHT TO YOU BY THESE OUTSTANDING SPONSORS! Our sponsors thank you for visiting Virginia Beach Sport Fishing (VBSF.net) and wish you a safe and productive fishing adventure! Please visit them by clicking on their banner. We hope you enjoy the site, good luck and tight-lines!